This week, we visited the Erasmus Medical Center to work with our longtime collaborators, Marion Koopmans’ research group, on a range of seroepidemiological studies that we are running together. Our collaboration started in 2010 when we noticed that our large general-population serum collections in Vietnam and the high-throughput protein microarray technology developed by Marion’s group were a good match for each other, both to test out the robustness and specificity of the microarrays and to analyze the temporally and geographically structured serum bank we were putting together for southern Vietnam. 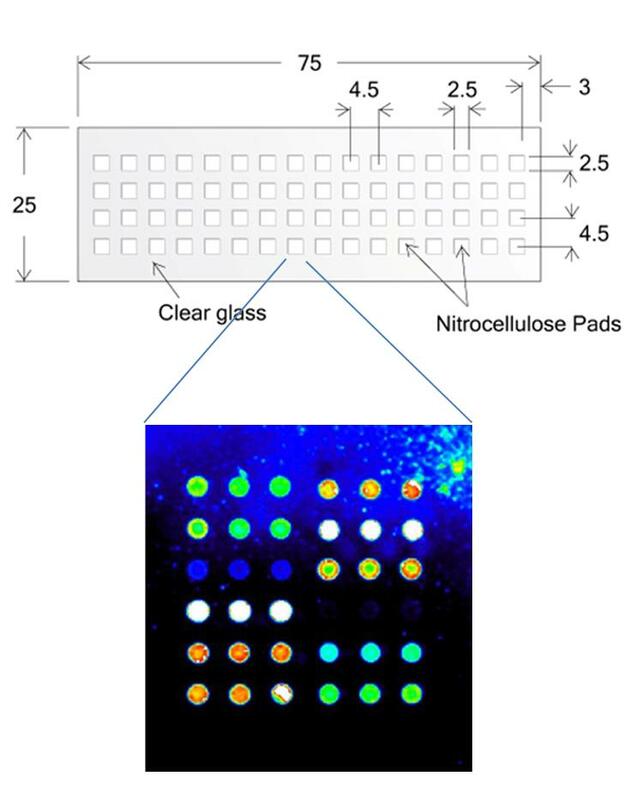 and the bottom image shows luminescence readouts for twelve influenza antigens, spotted in triplicate, after binding by influenza-specific antibody and conjugate antibody in an ELISA-like assay. These microarrays allow us to process 90 samples per day and compute titer measurements for 12 to 16 influenza antigens (depending on the array used) for each sample. Once or twice a year, the Erasmus and OUCRU teams get together to exchange results, best practices, data management horror stories, and progress updates on these studies. The first analyses have focused on reconstructing pandemic 2009 dynamics in multiple countries (here), estimating seroprevalence in Vietnam to avian influenza viruses (here and here), and determining if broad antibody responses are likely to be associated with influenza seropositivity (here). 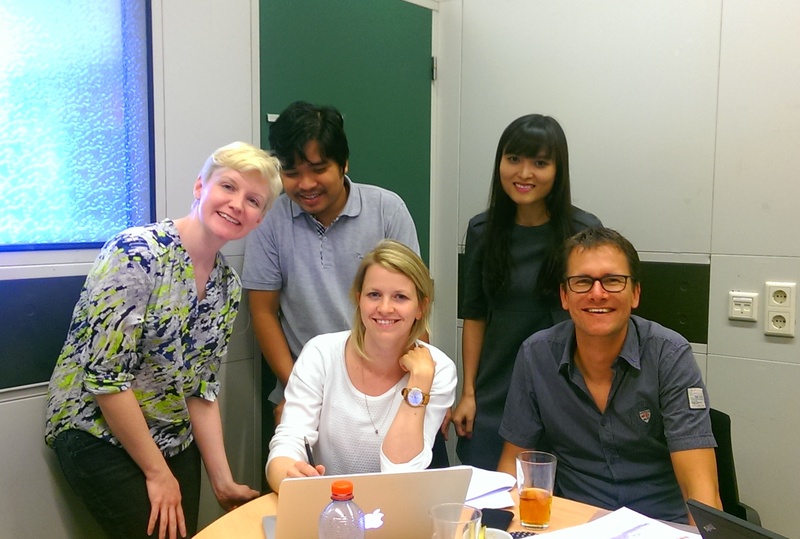 From left to right: Stacy Todd, clinician and PhD student and Liverpool School of Tropical Medicine; Dao Nguyen Vinh, PhD student at Open University UK; Gudrun Freidl, PhD student at Erasmus Medical Center; Nguyen Thi Duy Nhat, DPhil student at University of Oxford; Erwin de Bruin, senior laboratory technician at Erasmus Medical Centre, responsible for printing, validation, and calibration of microarrays. At the EMC in Rotterdam.